Pablo Villavicencio, the pizzeria employee who was turned over to ICE while making a delivery to a Brooklyn military base, was freed from detention tonight. In the nearly two months since he was detained, no real progress had been made — unless you count a mid-June temporary restraining order pending a hearing on the case. That changed when Villavicencio’s counsel won a habeas corpus motion extending his stay and allowing him to secure valid immigration status. In advance of the hearing, Villavicencio’s family, activists, and New York government officials exerted pressure to try to get him out of detention. This started yesterday with a press conference at City Hall, where Villavicencio’s wife Sandra Chica and daughters pleaded for his return. Chica talked about the difficulty of living without him, saying she’s effectively been a single mother since her husband was detained. His 4-year-old daughter, Luciana, also spoke, saying, “I want him to be home every day.” Chica also returned to the fact that Villavicencio has no criminal record. Earlier today, New York governor Andrew Cuomo said that the federal government has “cruelly kept” Villavicencio from his family “for no legitimate reasons.” He called the arrest “a disgraceful affront to our New York values,” and his continued detainment “unconscionable.” Protesters, joined by City Council Speaker Corey Johnson, rallied outside the downtown Manhattan courthouse where Villavicencio was having his hearing. The hearing was focused on whether the case should be heard in New York or New Jersey. During it, federal Judge Paul Crotty asked if the U.S. government has “any concept of justice” in mind for Villavicencio but no ruling was, initially reached. The Legal Aid Society, which is representing Villavicencio, released a statement around 2 p.m., saying “it is our position that the Federal government wholly failed to address or justify their cruel treatment of Mr. Villavicencio.” It also expressed hope that Judge Crotty would find merits in its arguments and release Villavicencio. That hope was fulfilled. Earlier this evening, the Legal Aid Society and Debevoise & Plimpton LLP released a second statement announcing Villavicencio’s release. The Legal Aid Society and Debevoise & Plimpton LLP won a habeas corpus motion today in Federal court freeing their client, Pablo Villavicencio, from Immigration and Customs Enforcement Detention (ICE) detention and extending a stay of deportation which will allow Villavicencio time to secure valid immigration status. Judge Paul A. Crotty of the United States District Court - Southern District of New York granted the motion. 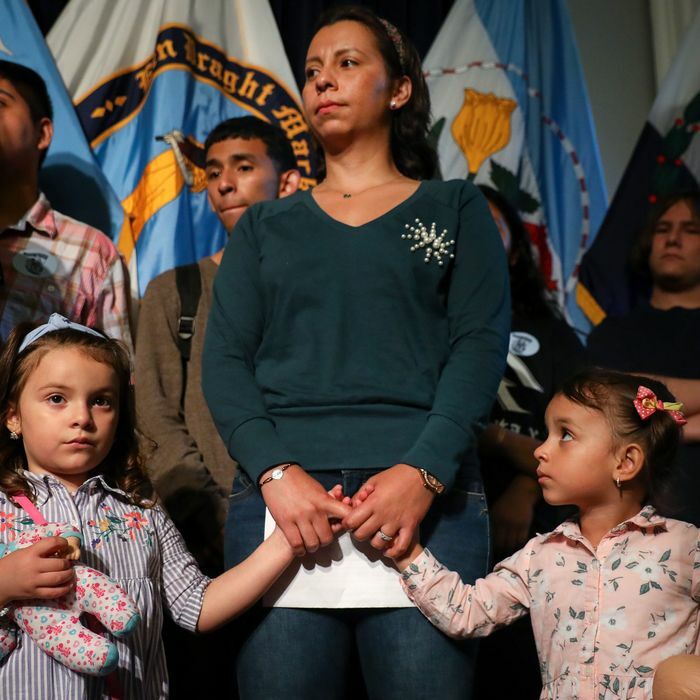 On June 1, Pablo Villavicencio was arrested and detained by Immigration and Customs Enforcement (ICE) while delivering a catering order to Fort Hamilton Army Base in Brooklyn. In mid-June, a judge granted a temporary restraining order staying Villavicencio’s deportation pending a hearing on the entirety of his case. This post has been updated throughout following Villavicencio’s release.